Justice Rilwan Aikawa of the Federal High Court sitting in Lagos has granted an order of injunction restraining the Lagos State Government from enforcing the new Hotel Occupancy and Restaurant Consumption Law 2017 in the state. In addition to the 5% Federal Value Added Tax, the Lagos State law imposes 5 % consumption tax on every purchase or service rendered by hotels , restaurants, fast food outlets, event centres, bars and night clubs. 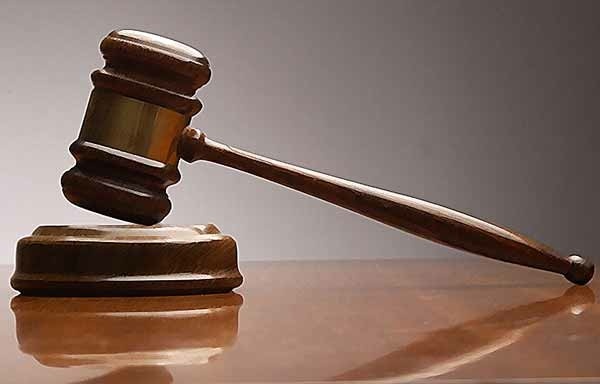 The suit which was filed by the Hotels Owners and Managers Association of Nigeria asked the court to stop the government from ordering installation of Electronic Fiscal Device in their systems arguing it violates their rights to privacy and could compromise the confidential data of lodgers and other customers while making their databank vulnerable to hackers and other external attacks. The aggrieved hotel owners who are miffed by the tax overdrive of the Governor Akinwunmi Ambode administration in Lagos amidst infrastructure challenges and hostile operating environment argued that the directive of the government mandating hotel owners to purchase the devises themselves from a sole government-preferred merchant, Mtech Communications is exploitative. “ I have never heard where a business owner will buy an inventory device for a government that wants to generate revenues. We should not be the ones to bear the burden of procuring devices and installation for government to monitor sales in our outfits. Worst still, mandating us to patronize a preferred equipment merchant. “The device will put our operation at risks and could jeopardize our databank. Again, the confidential data of our esteemed customers could be compromised which may eventually drive few customers that patronize hotel services away. Everywhere in the world, businesses and individuals don’t joke with their data. It is a grave concern to us. We are not saying government should not monitor sales. They can have their desk within the hotel premises but not invade the privacy of our customers, systems and databank”, an hotelier told COMPLETE NEWS. Recall that the Lagos State Internal Revenue Service (LIRS) had issued the Hotel Occupancy and Restaurant Consumption (Fiscalisation) Regulations 2017 pursuant to section 9 of the Hotel Occupancy and Restaurant Consumption Law empowering LIRS, to issue Regulations for the administration of the Law. The regulations were gazetted on 10 January 2018. The case was adjourned for further hearing. Scope: The Regulation requires all Collecting agents – persons who own, manage or control any business or supplies any goods or services which is chargeable under the Law (hotels, event centres, restaurants, lounges, clubs and bars) – to use an EFD to record all taxable transactions. EFD: An EFD is an electronic device for registering and calculating transactions at points of sale. EFDs record and transmit to LIRS real time taxable transactions for the purposes of administering Consumption Tax. Installation and registration: From the commencement of the Regulations, all agents are required to, or cause to be installed fiscalisation hardware and software in all their business premises and exercise due care to ensure the proper functioning of the device. Agents are to register EFDs within 7 days of receipt of notification of the Regulation from the LIRS and display their registration number prominently on the EFD. Connection to LIRS: Agents are to electronically connect the EFD to LIRS’ central system so that all transactions are transmitted real time. Where there is no connection with LIRS, agents are to notify the LIRS within 7 days while the agent is allowed to use alternative measures to record transaction data. Penalties: Failure to comply with any of the provisions of the regulation may lead to, upon conviction, penalty of 10% of the tax due and interest at 5% above the Minimum Rediscount Rate. Receipts/Invoices: Customers must be issued receipts/invoices generated from the EFD and report where such is not issued. The receipts should contain special digital marking and information such as name, address, registration number, date of transaction, mode of payment, tax due etc. Small or disconnected agents: Small agents (turnover less than N2 million) and disconnected agents (those without internet facilities) can apply for exemption from the EFD. Disconnected agents must satisfy LIRS that there are no internet services within their area. Power to enter and inspect: Duly authorised officers of LIRS have the right to enter any business premises to inspect the installation and functionality of the fiscalisation software and hardware.